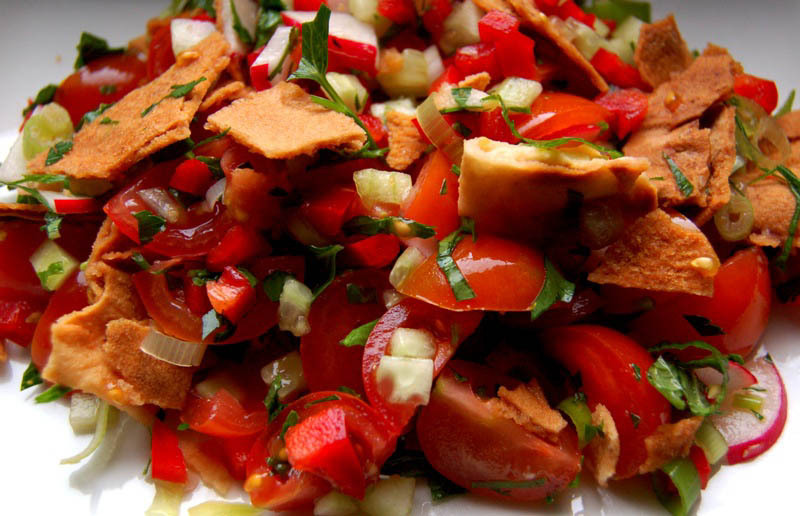 Looking for good Mediterranean food? You've come to the right place. I’m sure you have all heard of King David’s, located above Chipotle on Marshall Street, but have you heard of Byblos Mediterranean Café on Clinton Street? 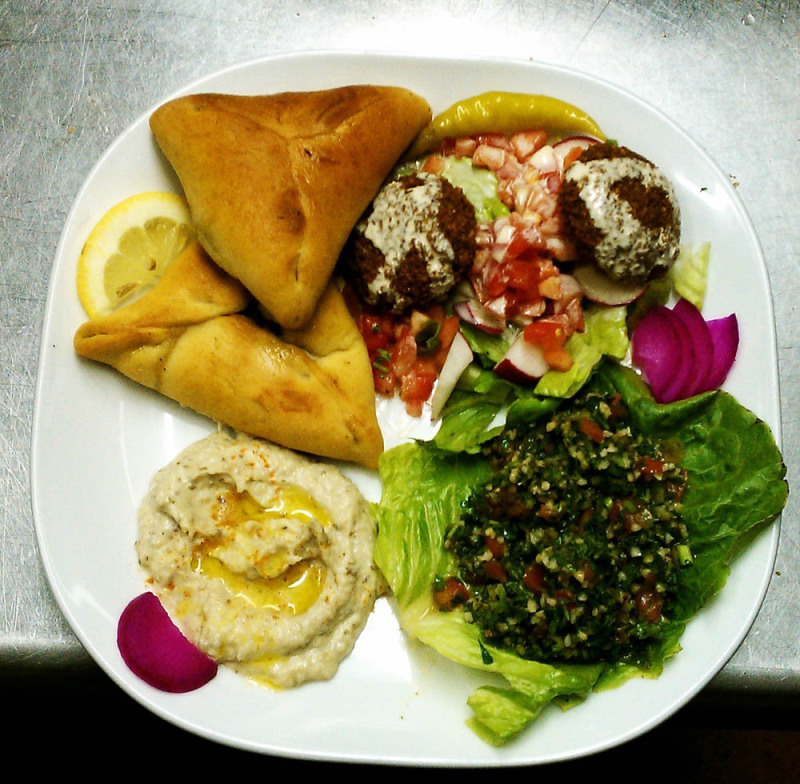 Byblos is all homemade, delicious and family run. The name was inspired by a visit to Byblos, Lebanon, which is known to be the oldest inhabited city in the world. Also, according to my taste buds, some of the best tasting chicken and garlic sauce in the world. This little hole in the wall is so good that it was able to grab the attention of food connoisseurs as famous as Guy Feiri, back in 2012. Now, I am pretty sure whatever you get here would be off-the-charts amazing, but let me tell you a few of my favorite things on the menu. First of all: THE CHICKEN. 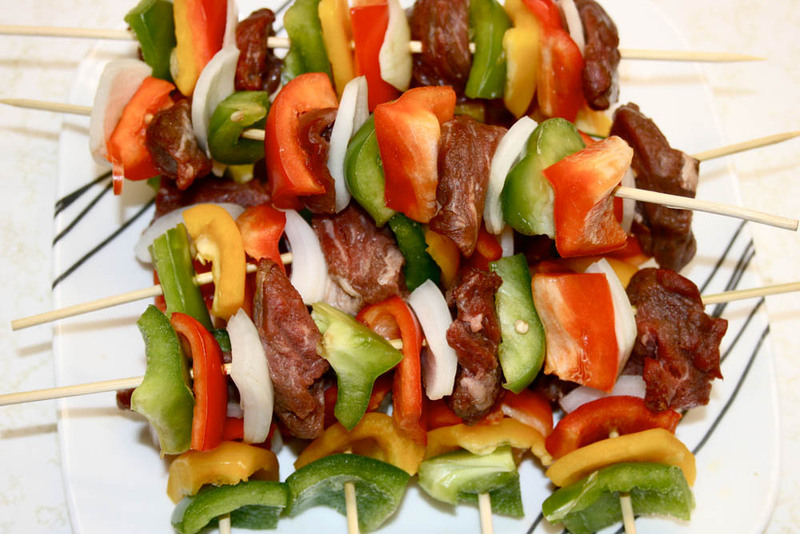 I always go for the rotisserie, but the kebabs are just as out-of-this-world. No matter what entrée you get, it comes with rice pilaf, which is so sticky and yummy, Byblos’ famous garlic sauce, which I could put on anything, a Greek salad, grilled veggies and hummus. All of this for $13.95 and it is high-quality EATS. Next would be the Vegetarian Platter, which offers a multitude of flavors, including Byblos’ falafel, which is one of the best I’ve had (besides in Tel Aviv). This platter consists of Hummus, Baba Ghanuj, Rice Pilaf, Mujadarah, Grape Leaves, Falafel, Tabbouleh, Labneh, Yogurt Salad, and Spanakopita. This platter will remind you of WHY you became a vegetarian. There are so many more entrees I could highlight on (shout out to the Gyro, because that is also mouth-wateringly good), but I want to finish up with Byblos’ unreal pastries, specifically the Walnut Baklava. If you want to see true mastery in the kitchen, watch the Diners Drive-Ins and Dives episode where they show you how they make this pastry. 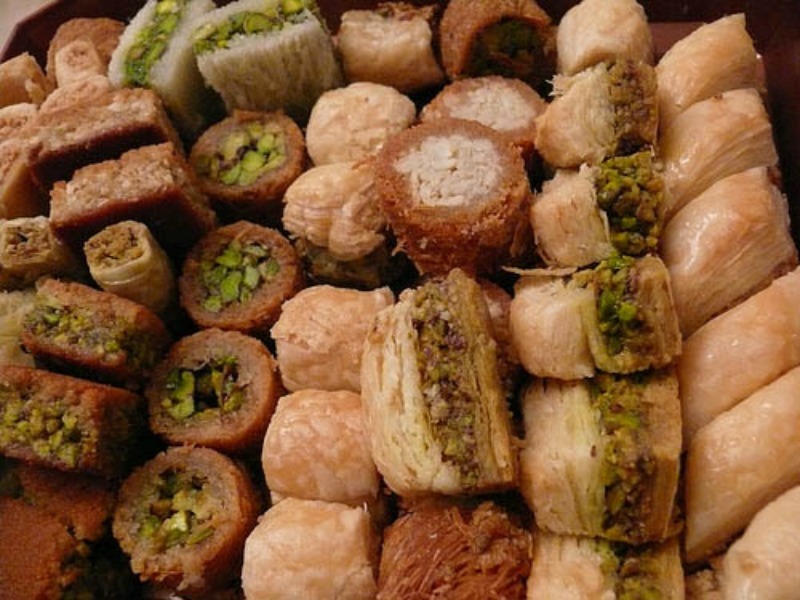 All I can say is if you are looking to treat yourself, the walnut baklava is the way to go. Look out for a new location of Byblos in Armory Square and a food truck! Byblos is taking their food to the next level: out on the road. I hope this made you hungry because I know what I’m ordering for dinner tonight.